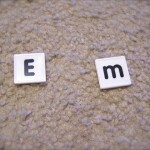 Teaching alphabetical order using letter tiles can make learning a game. Here are some easy, hands-on activities that can help your children strengthen their alphabetizing skills. These activities don't cover alphabetizing by the second of third letter (and so on), but they can greatly improve that all-important underlying skill of quick-recall of basic ABC order. 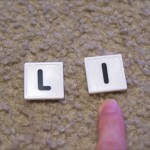 To do these activities, you first need to pick up a set of letter tiles (or make a set of your own). The set would need to include all the letters of the alphabet. Whether the tiles are capital letters, lower-case, or a mixture of both is entirely up to you. I purchased our jar of tiles for around $4 at Wal-Mart several years ago. There are multiples of each letter in the jar, so I never ran out when my kids did an extended alphabetizing competition. You may also want to print out a reference such as the chart above (click on the image to get a larger image which you can print from your browser). 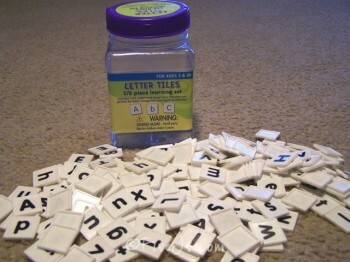 For the young student that is not yet confident with alphabetical order, separate a single alphabet set (all 26 letters), and have your child put the letters in ABC order from A to Z. Once they've mastered that, chose only about 5 consecutive letters from anywhere in the alphabet and have them put those letters in ABC order. Once they master that, have them move on to the following activities. Select two tiles at a time and have your child move the tiles into ABC order. Once one set is completed correctly, give him two more tiles. 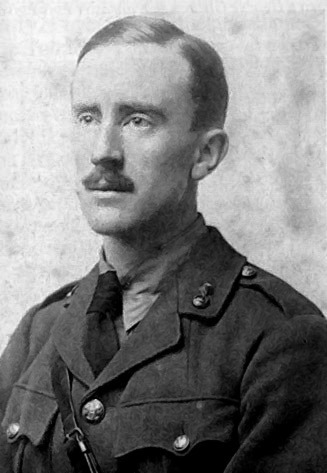 Continue in this manner for as long as desired. You might like to use a timer so your child can see how many pairs he can do in 1 minute. Another basic beginning activity is to place several tiles face down in front of your child, and then have him turn over two at a time. He would then point to the letter that comes first. You can change up this activity by having him turn over more than two tiles at a time or by having him point to the tile that comes last. Give your child more than two tiles at a time — choose a set number of tiles or simply give him a handful. Then have him put all the tiles in ABC order. Once the tiles are in the correct order your child can push them aside and you can give him another set of tiles to alphabetize. You can continue in this manner, set a timer that counts down to see how many sets he can do in 1 or 2 minutes, or use the timer to see how long it takes him to complete one set. If your child is competitive, he might enjoy trying to beat his own time. 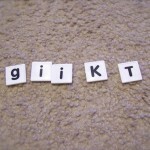 Choose any letter from the stack of tiles and set it directly in front of the child. This is the dividing tile. Then give your child a stack of tiles and have him separate the tiles based on whether they come before or after the dividing tile in the alphabet. I like doing this with the letter Q as the dividing tile at first, and then moving on to choosing random letters after my children gain confidence. These five tips for teaching the alphabet using hands-on activities can make your children enjoy the learning process while establishing memory by repetition and visual stimulus. 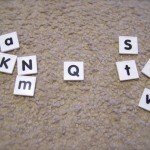 Watch your children closely for accuracy when doing these alphabetizing activities. Make the games a competition if you have more than one child, and if you feel your kids could benefit from the external motivation. Use a timer to count up or down during each activity. Count down to see how many of the activities your child can do in a set amount of time, or count up to see how long each activity takes. Either way, your child my enjoy trying to beat his best time or number of attempts. You may also like these activities for using number tiles to teach counting and basic math concepts. This is a great activity and would be perfect for homeschoolers and non-homeschoolers alike. I LOVE this!! Well, to be honest, I love all your ideas. My boys aren't quite old enough for the more complicated activities. They learn the best with hands-on activities, and this is perfect for them. Thanks for sharing your amazing ideas!